It’s easier than ever for educators to get the help you need. Microsoft 365 Education is a simple, safe, and affordable solution for teachers to promote teamwork inside and outside the classroom. Instructors easily connect with individual students and groups to unlock their creative potential through a single hub designed just for them. Students stay engaged and bring ideas to life with intelligent tools that encourage collaboration. Microsoft 365 Education employs state-of-the-art technology to protect student privacy and keep their data secure. Teachers manage users, data, and devices through a single dashboard built on Microsoft’s enterprise-level mobility solutions. There is a right fit for every institution’s needs. We can help you assess which version is right for yours. Our team of experts serving Akron, Cleveland, Fort Myers, Naples, and the surrounding areas enables you to transition your school to the cloud, to provide your students with a safe, collaborative learning environment, and save your institution time and money. QualityIP has extended HelpDesk hours. We’re open to assist you until 11 PM and on the weekends*. Also, a team of onsite technicians is available and ready to roll at a moments’ notice. 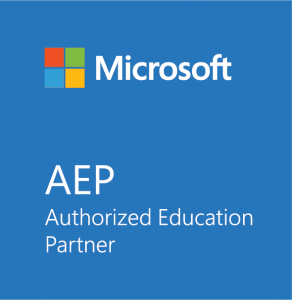 Ask us about Microsoft 365 Education today!